Release 1.2.0.4 New improved versionwith better support for unicode and with a command line version see html2xml ChangeLog for changes. 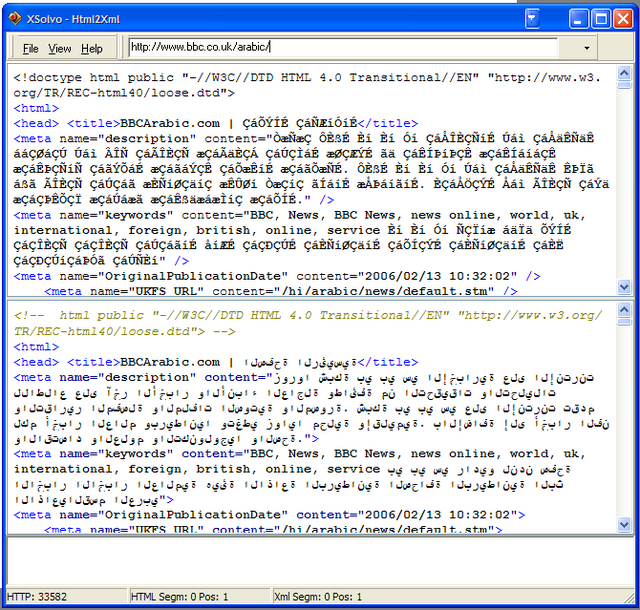 html2xml is a program that converts HTML data to XML. Get the lates version from the download page. TVProgramGrabber is still in beta tests and will soon be released here. Contact Stefan if you want to try the program. With TVProgramGrabber you can easy grab information from websites about tv programs and store it on harddisc in xmltv format or in an simple epg format. Tradufix is still in beta tests and will soon be released here. Contact Stefan if you want to try tradufix. With tradufix you can easily analyze and translate the most common phrases in one or many documents. In that way you can speed up your translation works and quicker translate the large volume of text. All translation works are under complete control, you can see the original text along with the translated text. In that way you can easily revert to original text and translate the phrase anew.